Pursuit Magazine Happy New Year! 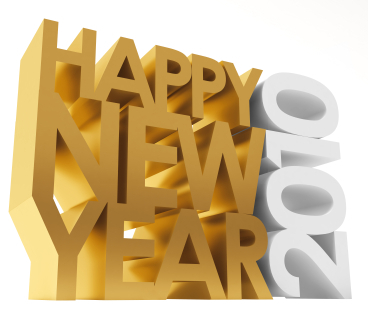 What are Your Business Resolutions for 2010? Today… during this beginning of a new year and the dawning of a new decade, most of us find ourselves taking stock of our personal lives. For many, 2010 comes with new dreams, new goals and of course, new resolutions. January 1st has come to symbolize a chance to do away with the old and start fresh. But what about our businesses? What new hopes and new goals will you set for our professional lives? Please leave us a comment below and tell us a few of your business resolutions for 2010, you’ll be surprised by how powerful just putting your goals in writing can be! One of my new years resolutions is to be less afraid of cold calling on attorneys and law firms! The worst they can do is tell me to scram… the best thing that could happen is that they give me some work right there on the spot. Hopefully they’ll at least keep my card and brochure and call when they need me. I will cold call on at least 3 potential clients a week in 2010.
plan to expand my company in 2010. More employees and clients. bigger office. Hope to have 15 employees by end of the year. Both great resolutions ladies! We wish you the best of luck! Would love to hear from you later on this year to see how everything turned out! We are a full service Investigative company and have decided to expand our business in to Web stores to include security surveillance cameras,hidden cameras and self defense items. We have found that these items are in a high demand in our area with all of the theft and assaults that are going on.